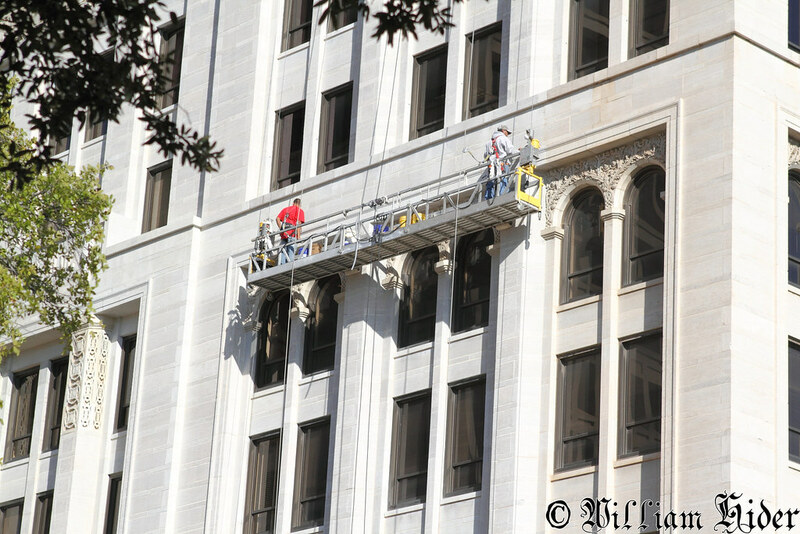 This building is getting a good exterior cleaning. Guess this is old news for me then. I took some photos today. Bob Blackburn made this a stop on our Spokies History tour on Tuesday. I have always just taken this building for granted but it is really quite striking. 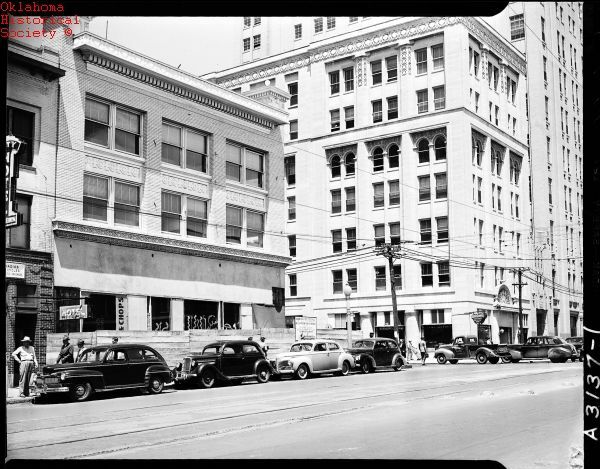 He did point out that SWB closed in the windows on the bottom floor I think in the 70's out of fear of the SLA. Imagine the bottom floor with glass windows now instead of the marble that is there now. I believe he also said it is older than the Colcord. Yeah the Colcord was built in 1910. 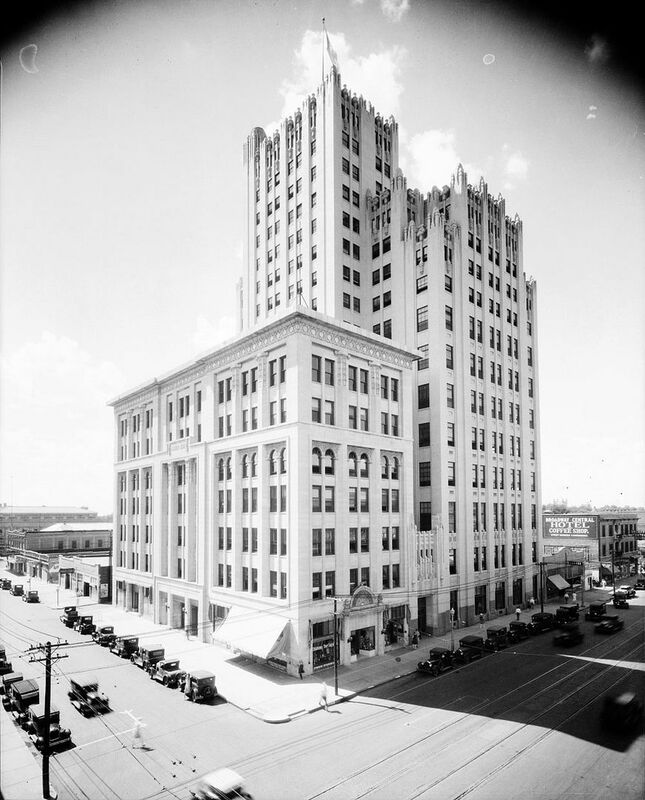 Considered the "first skyscraper" in Oklahoma City, but the Pioneer was built three years earlier. Notice the Braniff Building in the background. That was a fun tour. Really looking forward to the architecture tour. 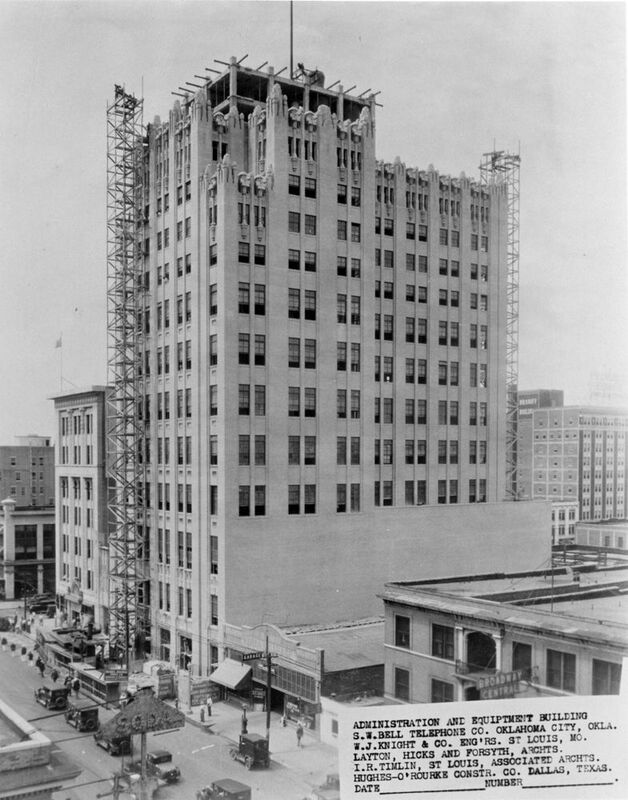 Bob repeatedly pointed out that the pioneer building was the first skyscraper, and I love the point he made about how much taller it would have looked at the time it was built being at the top of a hill. So who do we nag via social media outlets to have the ground floor windows restored? One of our intrepid OKCTalk posters tipped me off to this but I couldn't figure out the buyers. The building has been vacant for some time is on a key and highly visible corner. And, it's beautiful. Very excited about this. 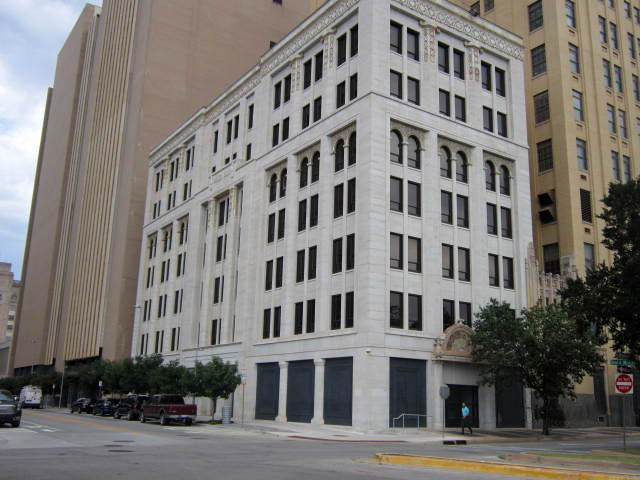 Local investors Roy Oliver, Mark Beffort and Andy Burnett closed on their purchase of the historic Pioneer Building downtown and are set to start renovations next week that will include restoring the landmark's first-floor windows. 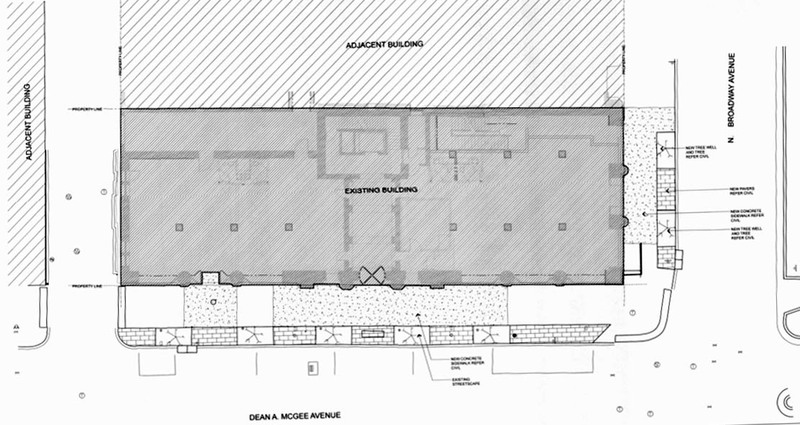 I talked to Andy Burnett about this some time ago and never posted the plans. The building is 7 stories; basement will be storage, first floor retail/commercial, 2-7 office space. Built in 1907 and exterior was completely cleaned in 2012. They've already filed a building permit to renovate. I've also heard Tom Ward's new energy company may be the primary tenant. Really love this building and so glad to hear they'll be adding retail/commercial on the first floor! My OKC dream is finally coming true with the destruction of the marble windows. 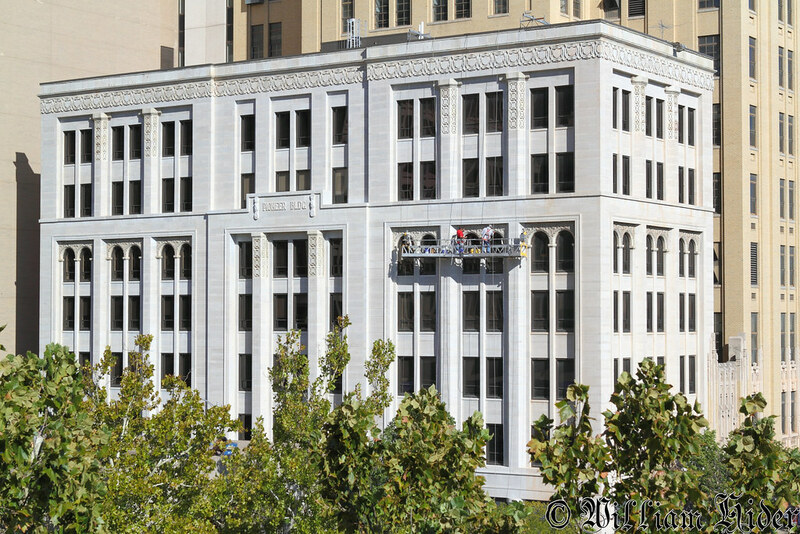 OKLAHOMA CITY – Architect Jeremy Gardner has a lot to do at The Pioneer Building, and not much room to get it done. 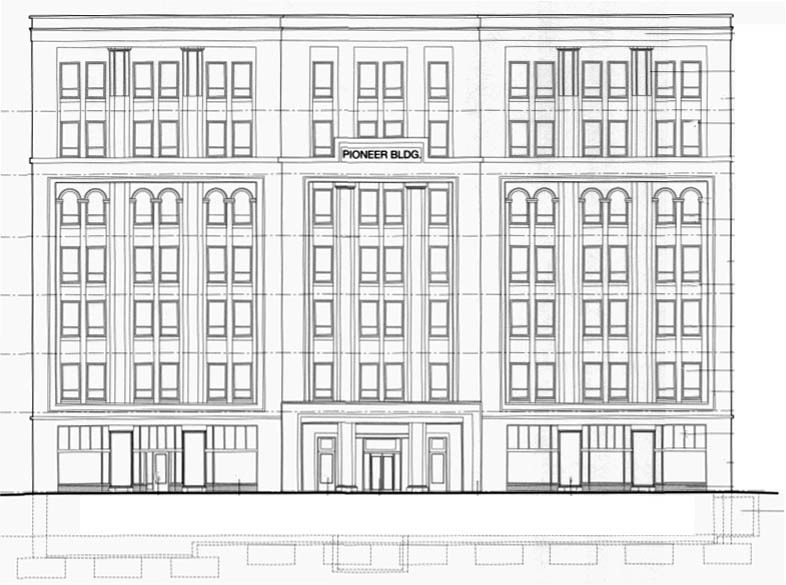 “The building is built on its property line, so there’s no additional square footage in terms of property to offer for things like transformers,” he said. “The basement juts out into the sidewalk. He said the floors aren’t big enough to house the heating and air conditioning units because that equipment would take up leasable space. The units will likely go on the roof, but only if their presence will not ruin the building’s look from the street. Gardner is outlining what changes will be made at the historic building. That information will be sent to the National Park Service, which oversees the federal historic tax credit program. “It’s sort of an interesting balance of trying to bring it up to code, but trying to see what the existing building has to offer dimensionally,” he said. 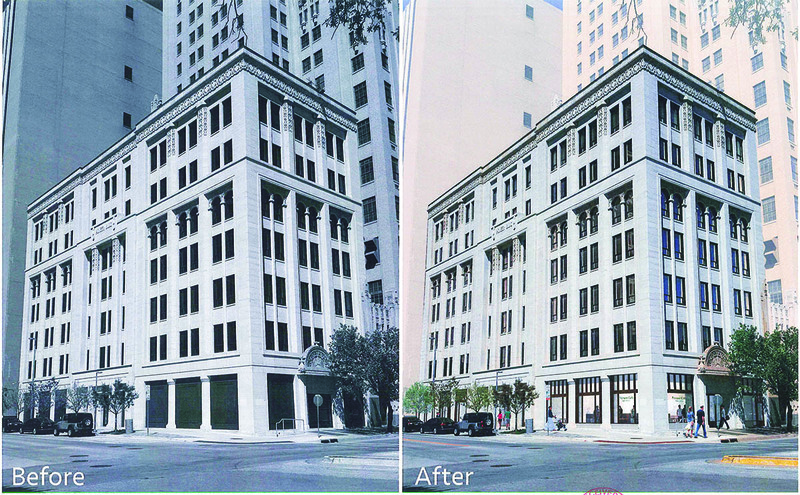 Gardner is designing the update for The Pioneer Building’s new owners, Mark Beffort, Andy Burnett, and Roy Oliver. The developers bought the building for $1.6 million and will spend about $9 million on the renovation. Newmark Grubb Levy Strange Beffort broker Brad Rice handled the off-market transaction. He said he approached former owner AT&T when he knew he had some interested buyers. The first floor will be retail with the blue granite being removed. Gardner said he is outfitting the floor with a gas line so a restaurant could be a tenant. 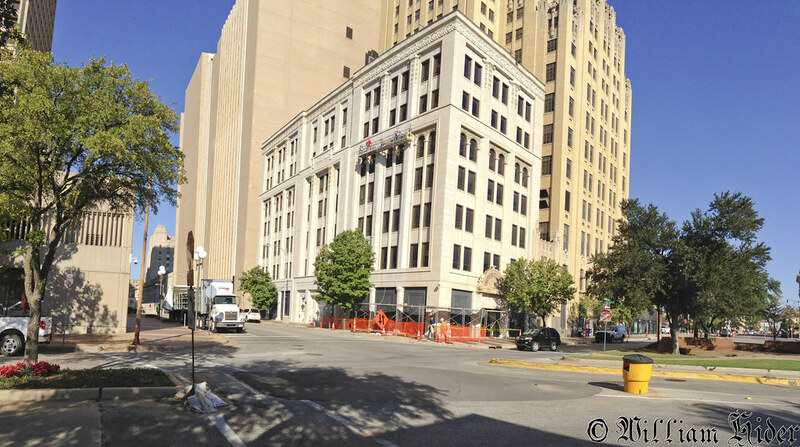 The second-through-seventh floors at 103 Dean A. McGee Ave. will be Class A office. 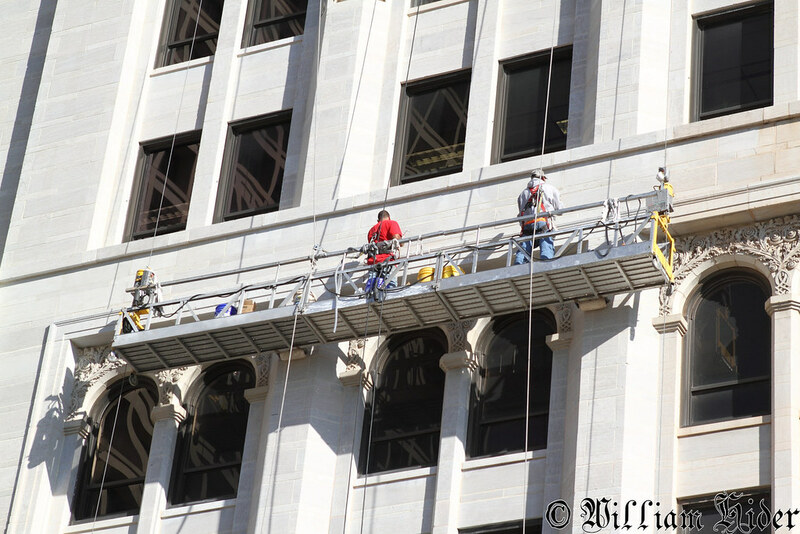 Each floor measures about 5,000 square feet, and the building will be leased one floor at a time, Beffort said. 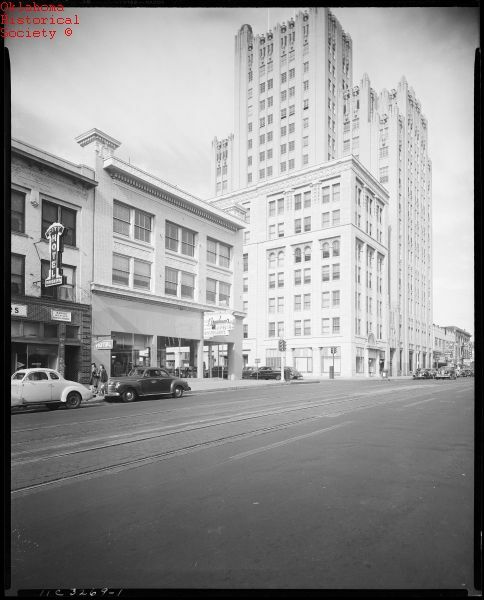 This is Beffort’s first venture in restoration involving historic tax credits. The update includes adding an elevator to the building. “For as tall as it is, it’s been the most challenging in terms of finding ways to bring infrastructure to it,” Gardner said. 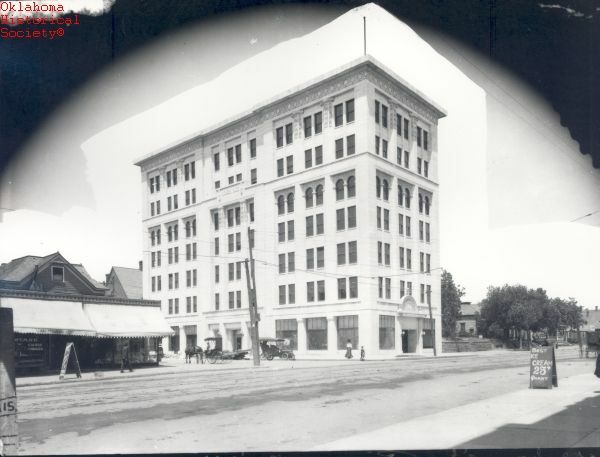 The building was constructed in 1907, according to the documents to get it on the national register. 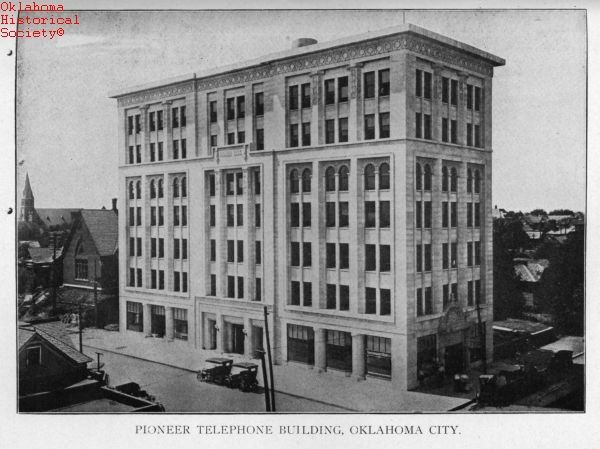 It was constructed as the headquarters of Pioneer Telephone Co. Architect William A. 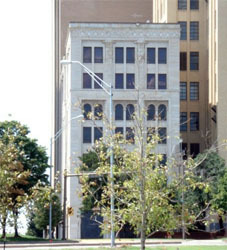 Wells designed the building. His only other remaining building is the Colcord Hotel. Gardner said he expects tenants will be able to move into the offices in spring 2018. Beffort said the developers have three different companies eyeing space right now, but no leases have been signed. He said the prospects are existing companies that want to upgrade their image. 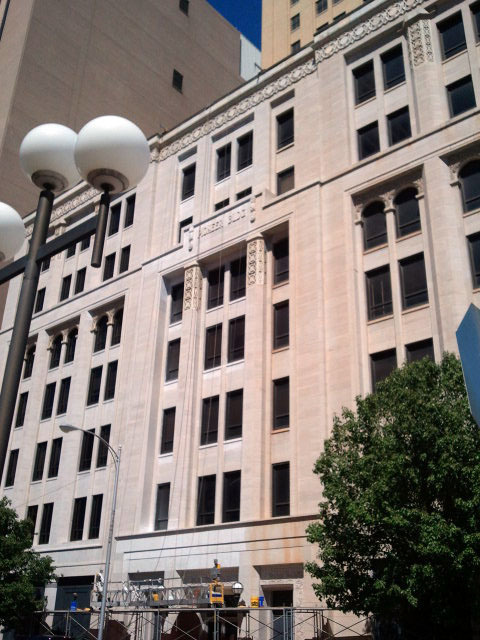 Class A office space in the Central Business District is holding strong with only a 5-percent vacancy rate, according to the 2016 fourth-quarter Xceligent report. The CBD is one of the tighter areas in the city. Beffort said he doesn’t think it will be difficult to lease the building. To touch on a previous post, Tom Ward's new company, Mach Resources, recently moved into the Dobson building off of Wireless Way. Has Tom Ward already left the company that he moved into Bricktown? The name is escaping me. Ward stepped down on Jan. 1st to start a new O&G venture. Interesting. How is Tapstone doing? While it is my dream for the marble to be removed from the ground level, I hope they do something interesting re-purposing of that marble instead of just trashing it. Tom Ward left Tapstone to start something else a few months ago, so the company Pete is referencing is the new venture he's starting. I think Tapstone is doing fine. I imagine that they may end up flipping the company to a larger E&P in the next few years. I tweeted this yesterday and thought i had posted here as well, but I guess not.